Shilpa Raj is the first ever woman author from India belonging to a Dalit community who has written a memoir! She belongs to the class of people which is considered as 'untouchable' and in India, there are still the people who take a deep interest in taking pleasure in such practices. 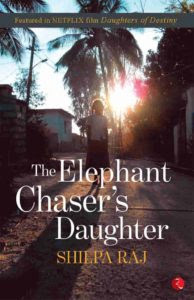 Shilpa's debut book, a memoir, The Elephant Chaser's Daughter is an attack on the same practices of discrimination, untouchability, casteism and many other follies which are still there in the society, acting as hindrances on our way to a new India. Her book will be launched on 28th of July 2017 and will be available in stores as well as shopping websites.